Arriving in Melbourne in the wee hours of a rainy Friday morning in August we made a beeline to our hotel where we were welcomed with beautifully arranged pastries (not vegan but still a very nice gesture – Mr A enjoyed them) and hot tea while we waited for our room to be ready. After a much-needed shower we commenced to walking around the CBD a fair bit, more or less following the Walking Tour mentioned in the Australia LP guidebook so stave off jet lag. Soon hungry, we made for Smith & Deli where we picked up the most delicious sandwiches and brownies AND everyone was so very nice there. 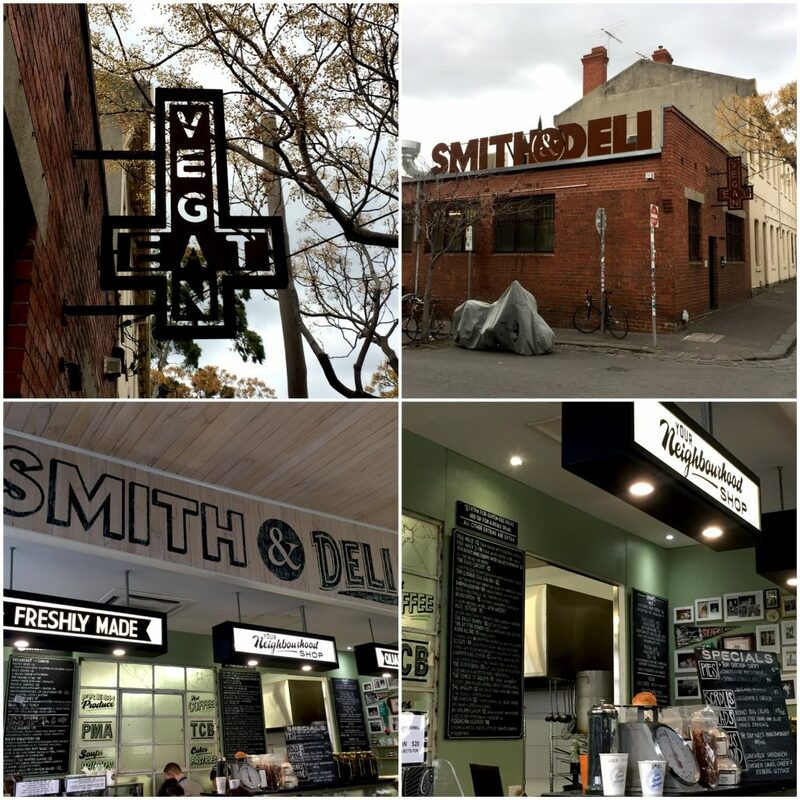 I loved the fact that Smith & Deli is not only a food counter but also a little supermarket (aka vegan heaven) that stocks guilty pleasures like Vego and Twilight bars, different ice creams, cheeses along with granolas, nut butters and many other lovely food stuffs I wish I could have bought more of. 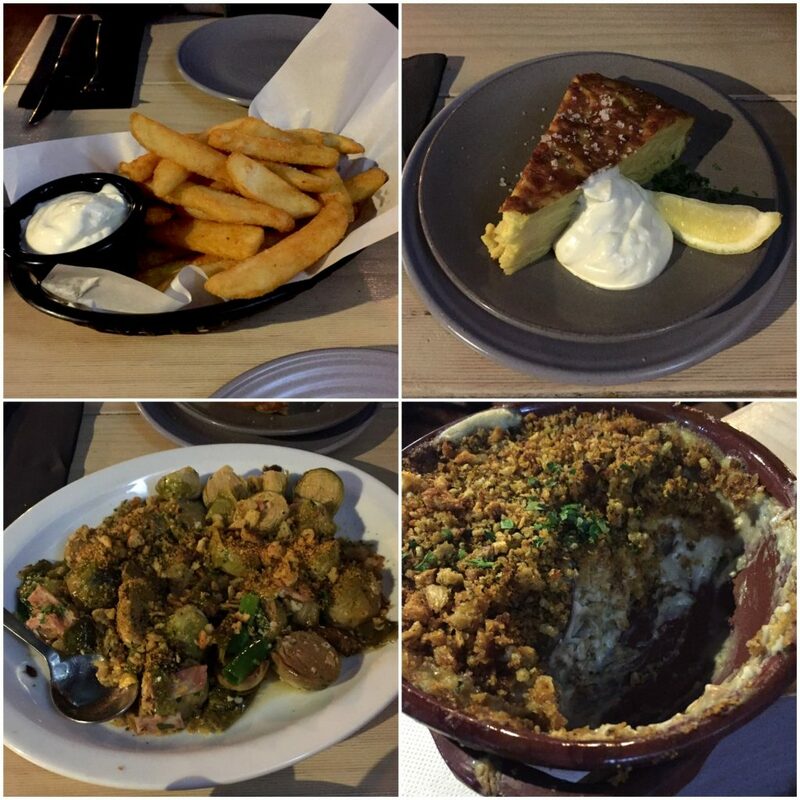 The next morning we made our way to Queen Victoria Market where – after admiring the beautifully presented fruit and veggies (aren’t markets awesome?) – I breakfasted on churros with sugar and cinnamon (my favourites). 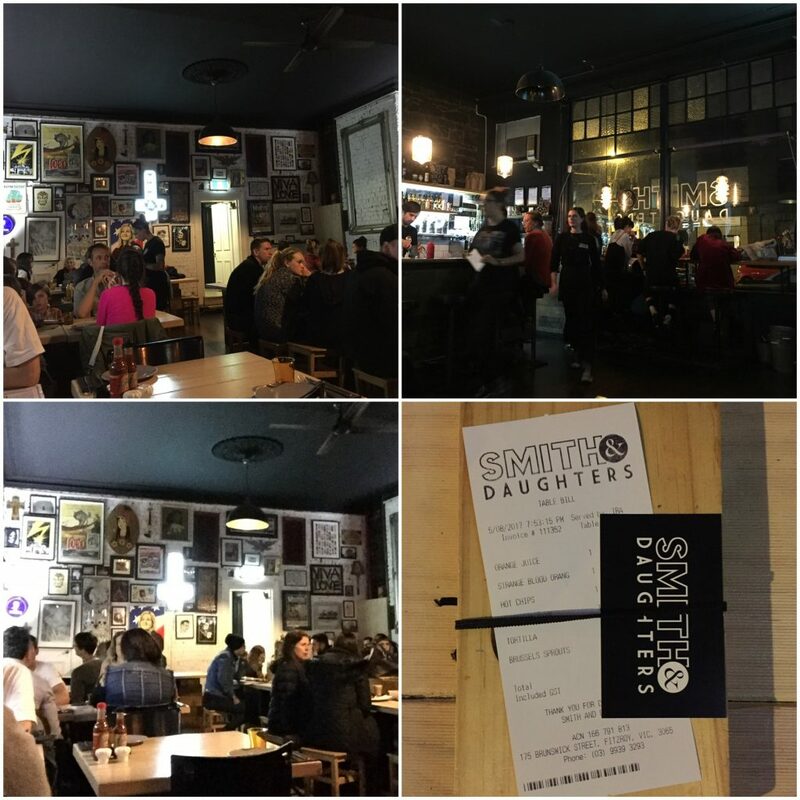 After the footy we warmed ourselves and our bellies at Smith & Daughters, one of the restaurants I’d been most eager to eat at and where I had made a reservation months in advance. 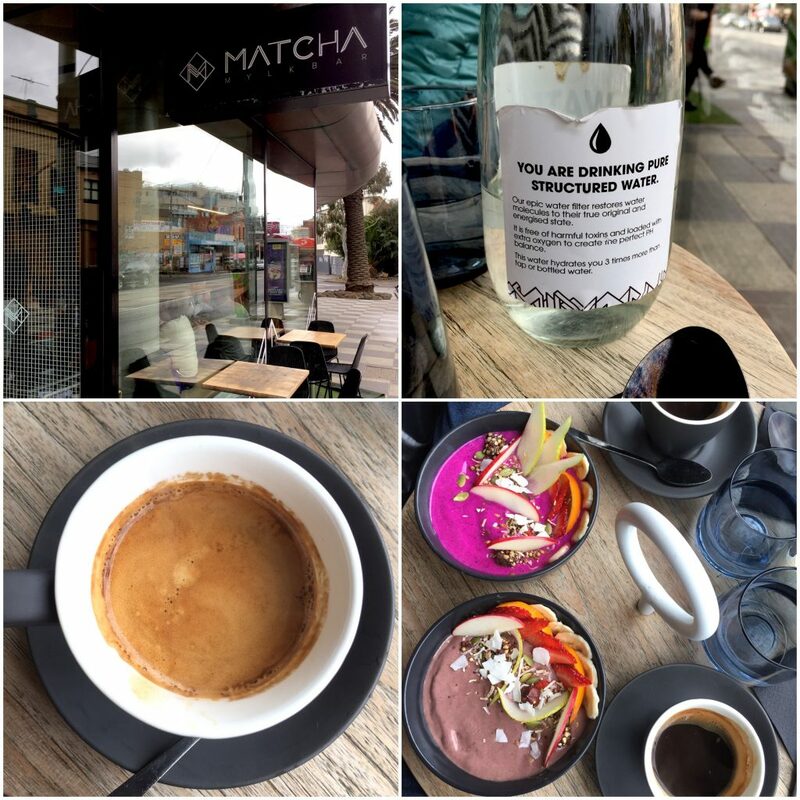 On Sunday we took the tram to St. Kilda and fuelled us up at Matcha Mylk Bar. Saddened there wasn’t room in my belly for more food (we were still pretty full from dinner at Smith & Daughters the night before) I still packed something called a “cruffin” (apparently a combination of croissant and muffin) for our walk to Brighton Beach which turned out delicious (actually both did, cruffin and walk). 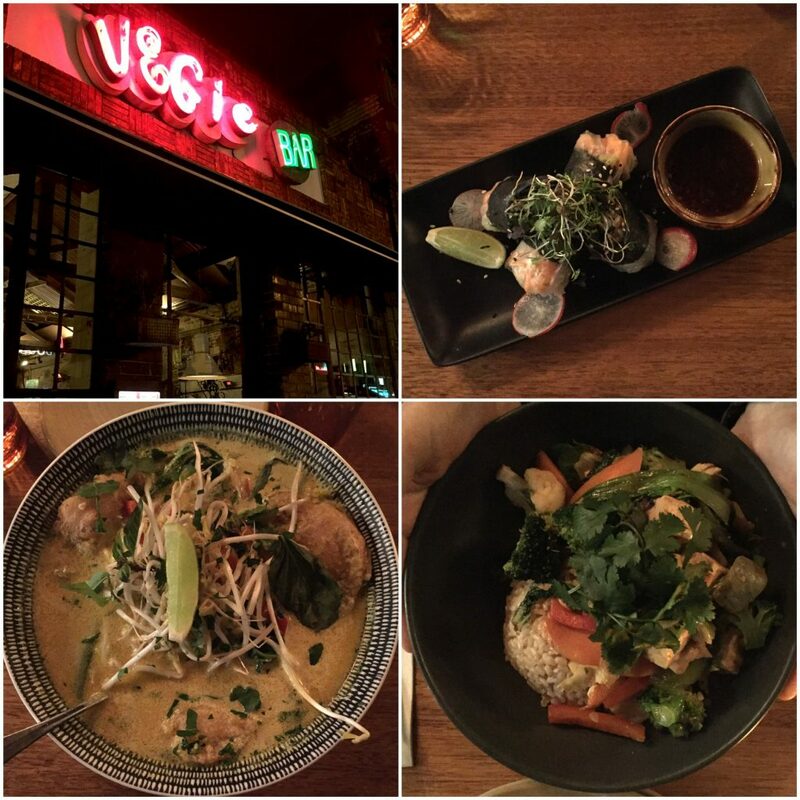 At night we had dinner at Vegie Bar. I ordered rice paper rolls and a huge, steaming pot of laksa which was simply phenomenal and restored my body temperature to normal. Unfortunately, we were too full to indulge in some of the sweet treats (mostly ice creams) at Girls & Boys next door – but, we had to keep something for next time so Girls & Boys (and Transformer) it will be. 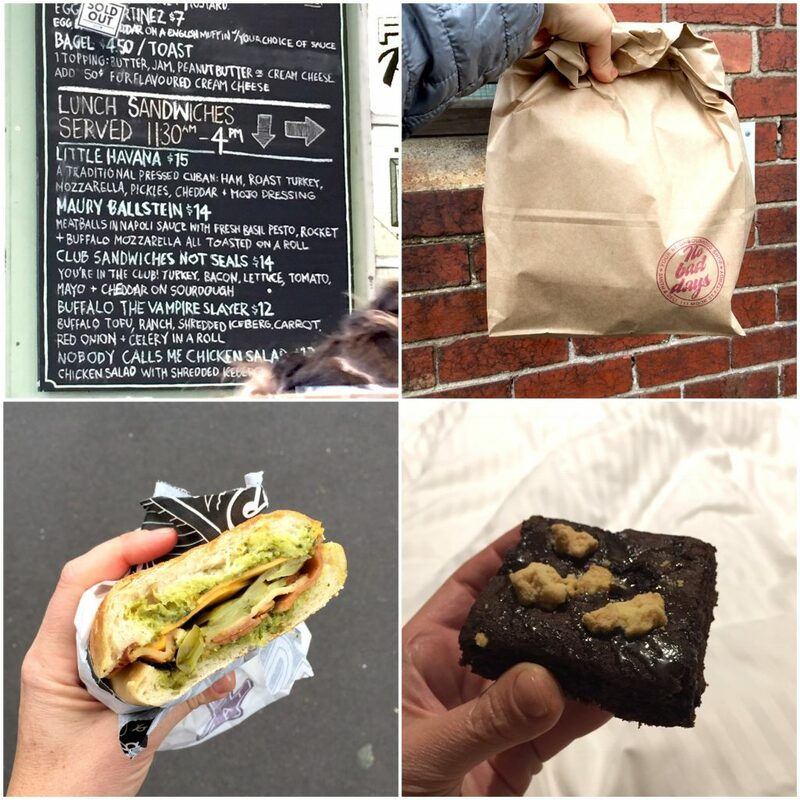 Realising the list of places yet to try was long Melbourne and I will have to have a rendezvous asap. 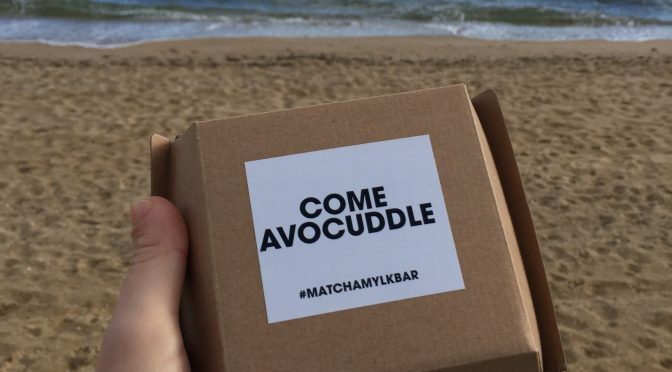 Which are your favoured places to indulge in plant-based food in Melbourne? Anything I shouldn’t have missed and/ or put on my list for next time? The best is yet to come. Stay tuned!